The holiday season is such an exciting time of year! The delicious food, the great conversations and the true quality time with family and friends makes this our personal favorite time of year. Over the holidays people create the opportunity to visit and catch up with loved one that they may not get to see as often as they would like. Most of the time this creates great memories, however with aging parents and friends this can also bring to light some challenges that have gone unnoticed since your last visit. Dad never forgot about changing his cloths before? Mom would have never left home without brushing her hair? In 50 years I have never seen her burn the turkey, what could that be? Why have both mom and dad lost so much weight, they say their eating well? Do they need help? What services are out them to help? So many questions! These types of questions surfacing over the holidays are far more common than you think. We hear all the time about seeing mom or dad for the first time in a few months and being really concerned. We also get calls from families that are too concerned about ruining Christmas to bring up the thought of home care. We understand that it is supposed to be a happy time of year, but home care can be a positive conversation. Getting help before it’s really needed can be the best gift to your aging loved ones. It could just be a couple hours here and there to help tidy up the home, bring out the garbage and help prepare meals. Sometimes having the extra hands can make all the difference. Home Environment: Did you notice that the home your mother always kept so clean was now neglected and in disarray? That lights were burnt out or that the floors were dirty and the bathrooms were neglected? Not only are these red flags that a problem may exist, but also an issue of safety because of slip and fall hazards. Vytality at Home senior home care can offer laundry and housekeeping services to help ensure everything remains clean and safe. Kitchen: Was the freezer full of outdated frozen meals? Did the fridge have a bad odor or was it essentially empty? This is a sign that the tasks of food preparation and cooking are becoming difficult or just too much of a bother. How about scorched pots or potholders with burned edges? This may suggest that cooking food may have been forgotten on the stove. This is a clear sign of risk and is concerning since accidental fires are a common home danger for older adults. Private home care services, like Vytality at Home can offer meal preparation and help with ordering groceries. Changes in Personal Hygiene and Appearance: Have you noticed your loved one has lost considerable weight or seems weaker than usual? How about dirty clothing, unusual stains or unpleasant body odor? The laundry hamper is empty and there is no laundry soap? These are clear signs that your loved one is having difficulty keeping up with daily routines such as bathing, shaving and brushing their teeth, this is an obvious sign that home care services could really benefit your loved one. 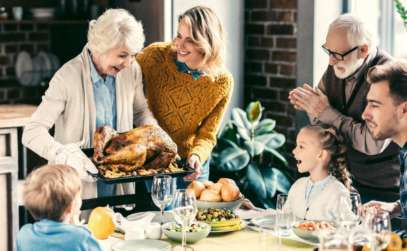 Cognitive Changes: Did you have to move piles of mail, bills, letters or magazines off the dining room table in order to set it for your holiday dinner? Did you notice that there were notes pasted all over to house as reminders? Did the conversation repeat itself many times during your visit? If you noticed that there are unopened bills or letters from banks referring to overdue payments or balances, this may also be a red flag that your loved ones are having difficulties managing their money. If there is increasing forgetfulness this does put that individual at risk, as they may be forgetting to turn off the stove/oven, take medications or could be getting lost while driving. They are also at increased risk for social isolation as persons with changing memory may feel less confident leaving their home or engaging with others. This is where senior home care services provide great benefit as it allows the person to continue to live in their home and engage with well trained, friendly and caring caregivers. Balance: Did Dad have a hard time rising easily from his chair to greet you? Does he seem unsteady or unable to balance properly? If your mother or father are experiencing pain because of untreated joint or muscle problems, this could be another fall risk. They should see their family physician as soon as possible to have this assessed and treated. Change in Behavior: Did you find that you mother was more irritable? Did you find your Dad was depressed and more withdrawn? Did you find your Father became easily frustrated with having a simple conversation? These are signs that something may be changing with their cognitive function or mental health. Early identification and a visit with their family Physician and or Geriatric Specialist may be able to tease out if there is an underlying problem. If you have any questions about Calgary senior home care or what services and offerings could help your loved ones please do not hesitate to reach out.